This post is organised into three categories, those that are the most tolerable, those that would be okay for most sensitive people, and those that might work for those who are not extremely sensitive. Wood flooring will always be my number one choice. However, wood (and many natural aromatic oils) contain terpenes which are problematic for many people For those sensitive to the smell of wood this is not a good option. Aromatic woods like pine have much higher VOCs than oak, for example. Wood also has a higher possibility of harbouring mould than less porous materials. To prevent mould you should make sure your wood has been kiln-dried and kept dry until you have a roof on it. Wood may also contain anti-sapstain chemicals which could explain why some people react to wood used in building and not wood in the forest. There are plenty of acceptable options for finishing wood. I used Hemp Oil on my floors. AFM is another great non-toxic finish. More about wood sealers in my post on AFM Almighty Adhesive is highly tolerable. Another option is Liquid Nails Subfloor Adhesive, which has less than 20g/l (lower than AFM Almighty Adhesive, but I find AFM more tolerable). There are no VOC/HAPs wood fillers as well. Pre-finished Hardwood - Usually finished with aluminum-oxide-infused polyurethane and cured under UV lights, these are typically very well tolerated once cured. I consider this to be safe product for the chemically sensitive. Test it first. It is close to 0 VOC. It has two benefits, not having to finish it in the house and it partially blocks the wood odour. If polished concrete flooring makes you think IKEA warehouse, think again, polished concrete can look beautiful. The Retroplate system is completely non-toxic/VOC-free but is not as cheap as I had hoped. It is available across Canada and the US, you just have to find someone who specializes in that system. You can do acid stains, add natural pigments, use white cement, or add white sand to Portland Cement. Glass tiles are inert and super-MCS friendly. 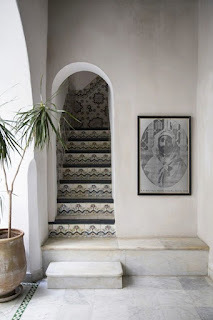 Concrete tiles are my preference because of the beautiful designs. Look for Eco tiles or ask what additives are in the concrete. I sealed mine with AFM Safecoat Penetrating Water Stop. Porcelain and ceramic are safe if lead-free and do not contain radioactive substances. Ask for lead test results. Imported glazed tiles should be tested for lead and radioactivity. A client just tested American made tiles that stated they were lead-free, but when tested they showed high levels of lead. So it might be wise to test any glazed tile regardless of origin. And be extra careful when removing them as the lead dust is particularly harmful. Tile over if possible instead of removing. Wood look tiles claim to be 0 VOC even though there is a printed image on them. The glaze seems to block this. I have tested them and they do not smell any different than other tiles. Crossville Tiles have a coating option called Hydrotect. This uses the PCO process to clean the air. A layer of non-toxic titanium dioxide is used to coat the tiles. This reacts with UV light, and just like the PCO air purifiers I reviewed, creates a reaction that can break down some bacteria, moulds, VOCs and viruses. I don't know how impactful this tile coating that uses natural UV light will be to the overall air quality in a room. The company does have some reports that show a reduction in bacteria, which may be worthwhile to some folks. If you read my article on PCO air filters you will remember that some people have a bad reaction to this process. It's possible that in a high VOC area it creates formaldehyde, or in a clean environment it can create NOx. I would try out a PCO air purifier before installing this tile to make sure it works well for you. This technology is also used on wood floors. For natural, non-toxic carpet look for chemical-free fibers (normally wool), no flame retardants, no mothproofing, no stain repellant, natural padding and either no adhesive or a non-toxic adhesive. I have reservations about natural latex when used in carpet and would not use that product in my house because of how mould-prone I have found it to be. Earthweave (wool - contains natural latex), Natural Home Products (wool) and Hibernia. I have sniffed Hibernia and it does have a wooly smell (as you would expect) but not a chemical smell in my opinion, the company has since changed ownership (2018). Home Fresh. The carpet contains charcoal which absorbs some VOCs (up to a point). It does not break them down. The carpet has Scotch Guard coating on it so I do not know how they can claim 0 VOC. I got a sample that was a few months old but bagged up and I found it to be very good. I did not pick up classic carpet offgassing, though it is not odourless. If you have conventional carpet in your house that is still offgassing, seal in the VOCs with Carpet Seal Commercial grade carpet is a lot harder to find in low VOC. I have reviewed and sniffed a few of the ones that claim the lowest VOC levels. I could not find any that were 0 VOC. Flor: Most of their carpets are commercial grade. They claim they have the lowest VOC levels in the industry as of 2017, though when probed for information on their VOC levels or any evidence to substantiate that claim, they did not have any. They have Green Label Plus which you can find almost anywhere now and is in no way a low level of VOC. However, when testing their carpet it did not have that tell-tale new carpet smell. The initial smell was as strong as other regular brands but it seemed less offensive (I know everyone is different here). But, what did impress me was that the sample offgassed way faster than other brands that have the tell-tale new carpet smell. A few weeks outside and it is fairly tolerable for a conventional carpet. I also tested the Fedora which is made from recycled plastic, it was less of that telltale carpet chemical smell. It offgassed to "odourless" way faster than their standard type. You will need to test their "dots" that attach these to the floor as well. The other good option for commercial grade is wool. Though companies are more reluctant to use wool because it is more expensive. 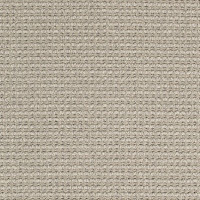 The Godfrey Hirst wool commercial carpets can show test results of very low VOC levels. Though they do have that classic carpet smell. Woolshire wool is also rated for commercial, I found it much more tolerable than Godfrey, it smells wooly but not like chemicals. It does have moth proofing in it. It smells similar to Hibernia brand. So if I was picking a commercial brand I would consider Woolshire first and then Flor. Terrazzo - is a little complex as there are different materials, resins and sealers involved. But there are systems that are 0 VOC and low VOC. Natural linoleum - Marmoleum is made from linseed, binders, wood flour, limestone and dry pigments which are mixed and then calendared onto a natural jute backing. It's got a UV cured sealer on top, and this is the glue used to install it. I found that after one month the smell all but disappeared from the product. I am using this in my trailer. I was surprised and impressed since I don't normally do well with linseed. Hard Vinyl - Luxury vinyl plank (LVP) is much more tolerable than people generally think. This should be one of your first considerations for an RV if you are not in the extremely sensitive category. I tested Armstrong and Cali Bamboo brands which are surprisingly good. Use a floating floor instead of glue down when possible. 0 VOC Engineered Wood - While many engineered woods have significant offgassing (see section below), Kahrs brand has zero formaldehyde and claims 0 offgassing. I tested it and found it to be quite good. Here is my more detailed review of my personal testing of this floor. Though you need to look at each type and finish, as not all are 0 VOC. Lauzon engineered flooring that is made in Canada also claims 0 VOC and 0 formaldehyde, but like Kahrs, when digging into their fact sheets on specific flooring, this did not seem to be the case. Use floating where possible. Engineered Woods - Junkers, Wood Flooring International all meet EU emission standards. WD brand is one recommended by sensitive folks. The substrates can still be problematic. Some use phenol formaldehyde which offgasses relatively quickly (Cali Bamboo). Cork, like wood, has a natural odour (terpenes). A resin is used to bind all the small pieces of cork together into flat pieces (I have seen polyurethane binders which I find very strong). In theory, you can make tiles or rolls without resin (they heat press them) but this is not how cork flooring is made. An adhesive is required either to glue it down (and there are 0 VOC glues for this) or in the floating floors it is usually glued to a fiberboard or substrate which tends to be problematic. It is finished with urethanes/acrylic which may be tolerable once cured. I have tested Cali Bamboo cork which I found to be the best one. US Floors was the second best. NOVA and Cancork smelled very strong to me. Here is my Facebook post about the testing of these brands. Bamboo requires resin or adhesives and a finish. However, there are many that are GreenGuard certified for low emissions. This wood is problematic and is known to shrink. Cali Bamboo GeoCore is made on a limestone based core which I found tolerable. This might be one of the best brands for Bamboo. Laminate Does give off chemicals, but there are some low-VOC options. You might want to check out the brands that have GreenGuard certification. It doesn't require adhesive which is a bonus. Generally, this is not low-VOC enough for a healthy home. I have seen better options in the engineered category but these are getting better. Magnetic Ceramic Tiles - I tested Kablan's magnetic ceramic tiles and I found they did have a moderately strong smell (the magnetic backing components), though you may not be able to smell them once the floors is installed, as they are underneath. My video review of them here. 4, Toxic! Soft vinyl, conventional carpet. Many brands of laminate and engineered wood are also quite toxic. Many conventional hardwood stains can be very toxic. Simply we know that some using this techniques is good. But I think this is not possible without using different types of flooring. So I really appreciated for the posting. Kindly provide these types of article in future. Gorgeous Green Home! Absolutely love the natural look and feel. Very impressed with your knowledge and expertise. Thank you for the info. I found this interesting document which talks more about the Retroplate process from a chemical standpoint and compares it to 2 other concrete flooring types. Wonderful blog, I like this type of chemical free natural homes, And i need to make such a home with special flooring works and all other works. Hello is laminate flooring from home depot toxic the one you just lay like a puzzle? Thanks in advance! I don't know their brands. Look for low VOC brands such as ones with GreenGaurd certification. Get an engineered hardwood floor rather than laminate. Less glue in the assembly because engineered hardwood uses a plywood backer and laminate uses a pressboard backer. Pick a product that has low or no added formaldhyde. Eddie Bauer Floors and some other good US manufactures offer this kind of product with no added formaldehyde and a UV cured acrylic matte finish which does not contain solvents and so does not emit VOCs. Nice article. I'm thinking about going with cork flooring, but I can't seem to find a natural one (not finished at all) and try to finish it myself with natural options. The only brand that sells natural cork is Thermacork and that is only for insulation. So I finally had my husband on board to install the click together bamboo flooring from our local green store. It's pretty affordable for us at $4.50/sq ft but now I'm thinking that it might be more toxic then they are leading me to believe. I then started looking at kiln dried hardwood available here in Oregon but I can' imagine him installing that. What do you recommend? we have about 1200 sq ft. Right now, we have wool carpeting but I am allergic to wool so I can never be barefooted and I'm sure it's affecting me in other ways. Thanks for any suggestions. There isn't a bamboo I would use. It depends on your level of sensitivity. Due to your sensitivities or concerns over emissions? Yes. Bamboo is problematic for other reasons but I was thinking offgassing. I am about to get untreated pure wool carpet in my bedroom, just been measured, but cannot wear wool clothing against my skin. I thought briefly walking on wool carpet should not be a problem but your comment worries me. Is this much of a problem? I am looking for a low toxicity option for my living room, dining room, and hallway. I have a dog, so need something that will be easy to clean and not likely to stain when he throws up, etc. I have old carpet now that I want to get rid of. I need something affordable, preferable $2.5 to $4 per square foot. What do you suggest? I like the fake wood look of some of the laminates and luxury vinyl, but I am concerned about toxicity. Not sure if engineered wood is affordable or practical with a dog. I don't have allergies or sensitivities. I am worried about long-term risks of exposure to chemicals. What did you end up doing? I am in the same situation, aging dog, need easy flooring, but chemically sensitive so limited in what can get. Did you solve the flooring dilemma? Hi Corinne - your site is incredible! Just bought my first home, 130 years old and needs some work. Pretty overwhelming to try and make good choices, thanks for making it a lot easier! Saw your carpet recommendations above... We are not the biggest fans of wall to wall carpeting. Do you have any recommendations on safe rug providers? I am going to have a van built out for me. The flooring will need to have 2" furring strips glued to the floor of the cargo area. Since the cargo van is new, the floor of the cargo area has a shiny auto paint on it. What adhesive would you recommend? Will the AFM Safecoat Almighty Adhesive be strong enough to keep the furring strips attached to the floor of the van/paint and then subsequenty hold in place a 3/4" NAF PLYWOOD FLOORING on top of the furring strips? The plywood will be screwed into the furring strips. Hi, this is complex and I don't have all the info that I need from that message. I would consult with an architect here this sounds like there's a very high chance of it going moldy if I'm understanding correctly. Any ideas for a good moisture barrier? I am chemically sensitive but have to replace nasty old carpet in my mobile home. 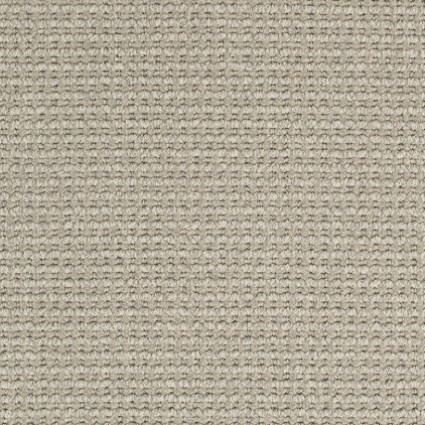 About to put pure wool carpet in the two bedrooms but worried if it can affect those who cannot wear wool clothing. I saw a comment above about this and am concerned as will be the bedroom. Do people react to pure, untreated wool carpet sometimes? Will the air in the bedroom be clear? Yes people do react to wool. I did! Put ig in den to test, had a bad time, so cancelled my master bedroom! Thanks. I'm assuming radiant heating under laminate flooring is highly toxic? What is the best alternative for radiant floor heating? Heating anyting that off gases from underneath is going to increase the off-gassing. I'm not sure what you mean by the alternative to in floor heating. There are many other types of heating systems and less toxic floor systems that would go better with in-floor heating. How do you test porcelain tile for lead and radioactivity? Thanks! You need to hire someone that has the tools for this. Someone will come out and do the testing. First you should ask the company if they have a certificate for lead testing. How did your test of Armstrong's Luxury planks turn out? Decent. Will work for some people. Which Armstrong vinyl plank did you test. Do you know of any other LVT brands that are good? I tested a few different types of the Armstrong brand that do not require glue. Good better and best I believe they are called. I also tested Cali bamboo. Cali bamboo discloses their V O C levels which are very low. You are correct about the pre-finished floors with UV cured finishes and embedded aluminum oxide anti-scratch components. They are no-VOC and much tougher than the old solvent based finishes. Also look for engineered flooring made with No Added Formaldehyde glues (NAF or NAUF) Some manufacturers include Eddie Bauer HOME, Luzon, and Revel Woods. Use a floating install method or a nail down method. Direct glue to the subfloor introduces yet another set of chemicals into the environment. Also consider the construction of the cabinets and furniture you are using as these often include elements of particle board that contain formaldehyde based glues. No added formaldehyde and no added urea formaldehyde are quite differnt. No added urea formaldehyde means it has phenol formaldehyde. I haven't seen flooring recently that is using urea formaldehyde. It might still exist. Hi there, I am doing a renovation and am looking for a suitable subfloor to install underneath tiles. I am having challenges finding something that is both well tolerated and good in insolation - construction requirements demand good insolation and for instance Ardex is not good enough. Any ideas?